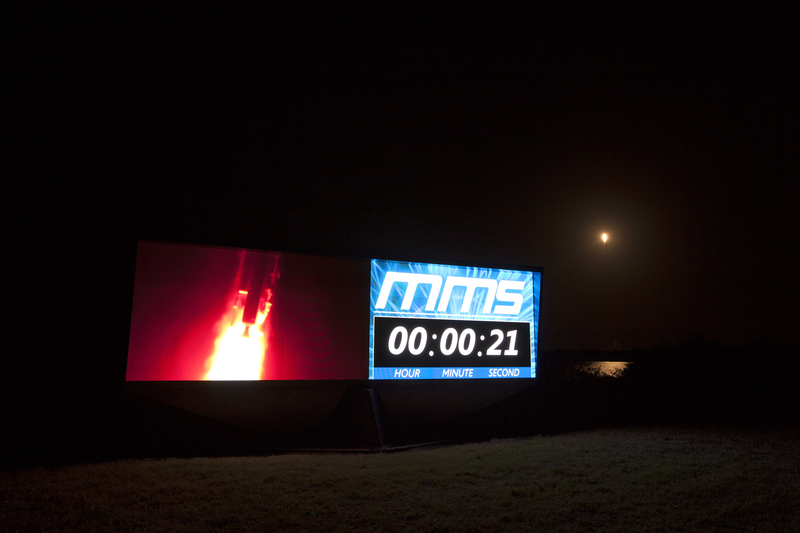 Following a successful launch at 10:44 p.m. EDT Thursday, NASA’s four Magnetospheric Multiscale (MMS) spacecraft are positioned in Earth’s orbit to begin the first space mission dedicated to the study of a phenomenon called magnetic reconnection. This process is thought to be the catalyst for some of the most powerful explosions in our solar system. 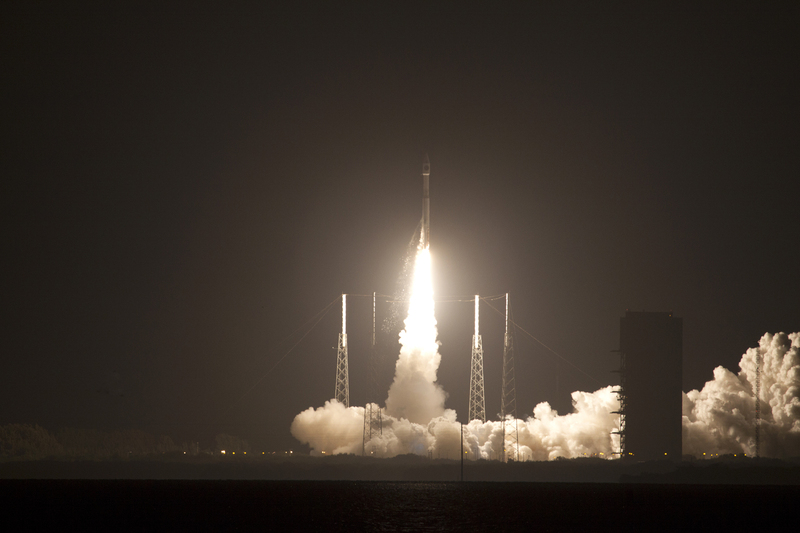 The spacecraft, positioned one on top of the other on a United Launch Alliance Atlas V 421 rocket, launched from Cape Canaveral Air Force Station, Florida. After reaching orbit, each spacecraft deployed from the rocket’s upper stage sequentially, in five-minute increments, beginning at 12:16 a.m. Friday, with the last separation occurring at 12:31 a.m. NASA scientists and engineers were able to confirm the health of all separated spacecraft at 12:40 a.m.
“I am speaking for the entire MMS team when I say we’re thrilled to see all four of our spacecraft have deployed and data indicates we have a healthy fleet,” said Craig Tooley, project manager at NASA’s Goddard Space Flight Center in Greenbelt, Maryland. Over the next several weeks, NASA scientists and engineers will deploy booms and antennas on the spacecraft, and test all instruments. The observatories will later be placed into a pyramid formation in preparation for science observations, which are expected to begin in early September. 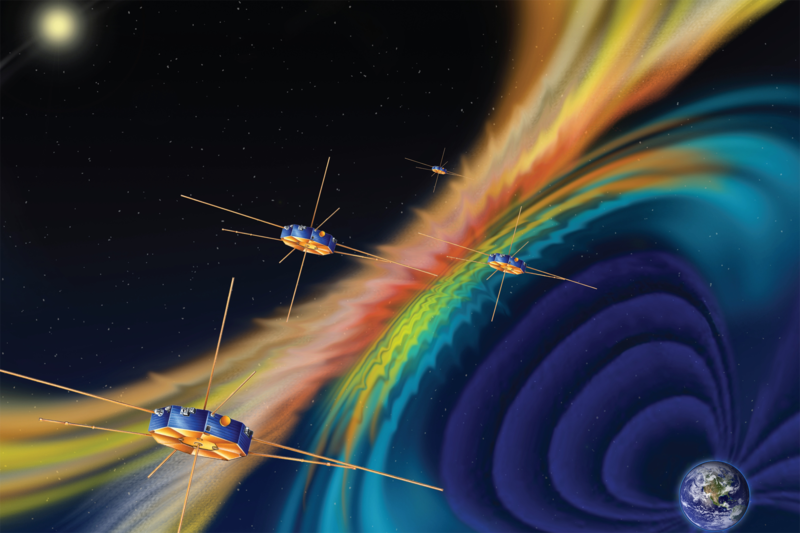 The mission will provide the first three-dimensional views of reconnection occurring in Earth’s protective magnetic space environment, the magnetosphere. Magnetic reconnection occurs when magnetic fields connect, disconnect, and reconfigure explosively, releasing bursts of energy that can reach the order of billions of megatons of trinitrotoluene (commonly known as TNT). These explosions can send particles surging through space near the speed of light. Scientists expect the mission will not only help them better understand magnetic reconnection, but also will provide insight into these powerful events, which can disrupt modern technological systems such as communications networks, GPS navigation, and electrical power grids. By studying reconnection in this local, natural laboratory, scientists can understand the process elsewhere, such as in the atmosphere of the sun and other stars, in the vicinity of black holes and neutron stars, and at the boundary between our solar system’s heliosphere and interstellar space. The spacecraft will fly in a tight formation through regions of reconnection activity. Using sensors designed to measure the space environment at rates100 times faster than any previous mission. MMS is the fourth mission in the NASA Solar Terrestrial Probes Program. Goddard built, integrated and tested the four MMS spacecraft and is responsible for overall mission management and operations. The principal investigator for the MMS instrument suite science team is based at the SwRI. Science operations planning and instrument commanding are performed at the MMS Science Operations Center at the University of Colorado Boulder’s Laboratory for Atmospheric and Space Physics.